MDA Black-N-Blue Ball a Huge Success | Hupy and Abraham, S.C.
May 8, 2015, marked the 22nd Annual MDA Black-N-Blue Ball in Milwaukee. Like we have for the past decade, Hupy and Abraham, S.C. sponsored tables at the ball for our clients and guests. This year, among our guests included ABATE of Wisconsin members Tiger Beyer and Teri Kieffer, Kevin and Holly Walz, and Tim Tomann. 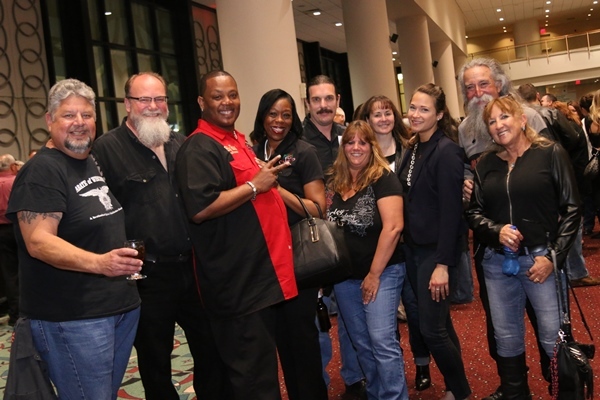 There were also some members of the motorcycle club community including Tonya “Royal-T” Edwards and Roosevelt “Big Rose” Edwards of the Snack Shop MC, and Ray “Tiny” Otto of the Road Runners MC. The Wisconsin Center in downtown Milwaukee was the site of this gala, hosting over 1,000 attendees. 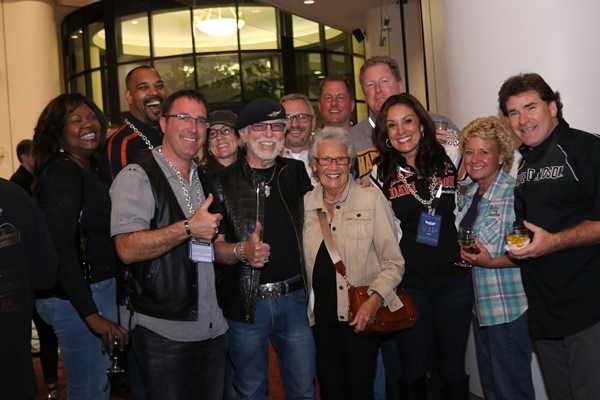 Harley-Davidson attire was in abundance among the many guests, as the motor company is a corporate sponsor of this event. The Muscular Dystrophy Association (MDA) is the world’s leading nonprofit health agency dedicated to finding treatments and cures for muscular dystrophy, amyotrophic lateral sclerosis (ALS) and other neuromuscular diseases. MDA does so by funding worldwide research, providing comprehensive health care services and support to MDA families nationwide and rallying communities to fight back through advocacy, fundraising and local engagement. It’s special work powered by special people who give generously. This year, the Milwaukee MDA Black-N-Blue Ball raised in excess of $1.2 million at this single event. 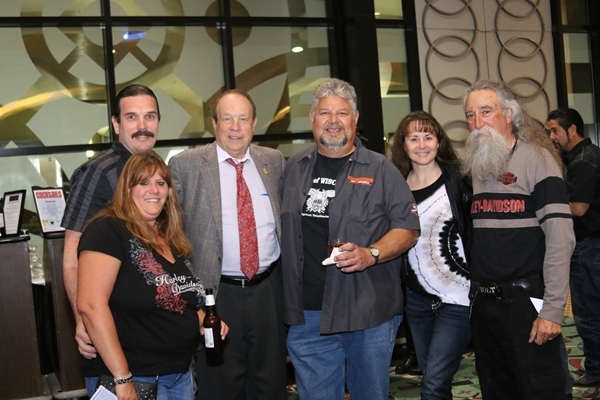 Helping to reach that record total was the raffle of a 2015 Harley-Davidson Dyna Switchback, fully customized by J.W. Speaker Corp., HB Performance Systems and Milsco Manufacturing. We’re looking forward to the 2016 Black-N-Blue Ball as we continue to support this worthwhile event through corporate sponsorship and providing tables at the ball for our guests and clients.